In this “equally beguiling sequel to his acclaimed memoir, Colors of the Mountain” (Kirkus Reviews), teenager Da Chen takes his first train ride away from the farm he was raised on to his new university life in Beijing. He soon faces a host of ghastly challenges, including poor living conditions, lack of food, and suicidal roommates. Undaunted by these hurdles, and armed with a dogged determination to learn English and “all things Western,” he competes to win a chance to study in America — a chance that rests in the shrewd and corrupt hands of the almighty professors. Poetic, hilarious, and heartbreaking, Sounds of the River is a gloriously written coming-of-age saga that chronicles a remarkable journey — a travelogue of the heart. 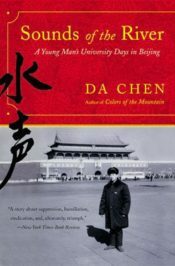 During orientation week, students attended discussion groups about the book and met Author Da Chen at his presentation and book signing. As the grandson of a disgraced landowner, he was a victim of communist political persecution and hollowing poverty during the Cultural Revolution. His family was beaten, his father thrown in reform camp, and young Chen, at the age of nine, was threatened with imprisonment. Unfailing family love helped him survive in a dysfunctional society and he found unexpected love and friendship with four other hoodlum outcasts, but dreams made him soar above the poverty and persecution. His first encounter with a Christian woman, a Baptist professor, was life-changing. She taught him English and opened the possibility of another world. 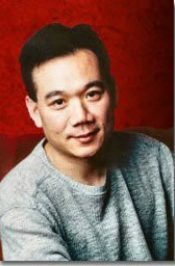 He excelled in college at Beijing Languages and Culture University, and stayed on as a professor of English after graduating top in his class. Da arrived in America at the age of 23 with $30 in his pocket, a bamboo flute, and a heart filled with hope. He attended Columbia University School of Law on a full scholarship, and upon graduating, worked for the Wall Street investment banking firm of Rothschilds, Inc.